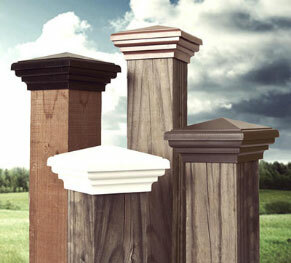 2x2, 2.5x2.5 and 3x3 Aluminum Post Caps for finials, metal posts and small wood posts. These powder coated Aluminum Post Caps are "slip-over" style caps and can be used with any matching size post. These caps are designed to be a friction fit or can permanantly attached via epoxy or welding.